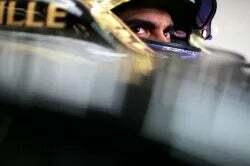 “When Pastor crashes, it’s big news,” said Maldonado. “When the other people crash, there is no news. You have the balls to push the car over the limit until you crash or give someone else a puncture time and again.... yeah big cajones but no skill!! Skill pastor, skill is what you need to push it! Please someone take away his license.